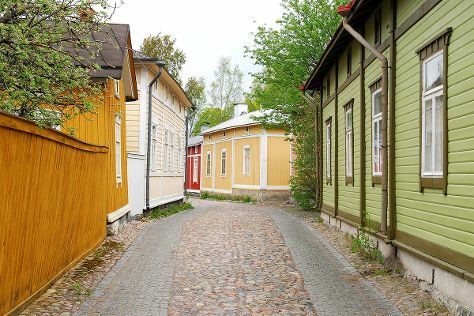 Get some cultural insight at Naantali Old Town and Turku Castle. Museum-lovers will get to explore Aboa Vetus & Ars Nova and Pharmacy Museum and Qwensel House. You'll find plenty of places to visit near Turku: Old Rauma (in Rauma), Nuuksio National Park (in Espoo) and Bellevue Beach (in Hanko). Next up on the itinerary: browse the different shops at Turun Kauppahalli, explore the galleries of Forum Marinum Maritime Centre, examine the collection at Luostarinmaki Handicrafts Museum, and admire the masterpieces at Turku Art Museum. For maps, reviews, ratings, and tourist information, refer to the Turku online trip planner . If you are flying in from Austria, the closest major airport is Turku Airport. In August, plan for daily highs up to 23°C, and evening lows to 12°C. Finish your sightseeing early on the 10th (Sat) to allow enough time to travel back home.